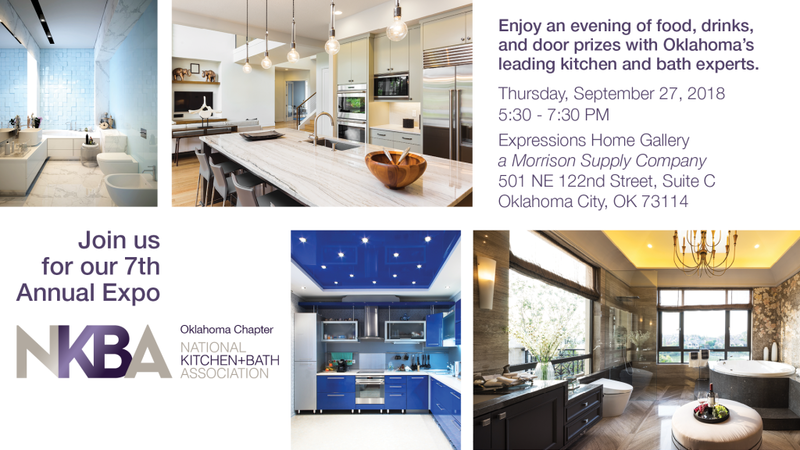 Enjoy an evening of food, drinks, and door prizes with Oklahoma’s leading kitchen and bath experts. Join us on Thursday, May 17, for the 2nd Annual NKBA Oklahoma Chapter’s CEU Blitz! 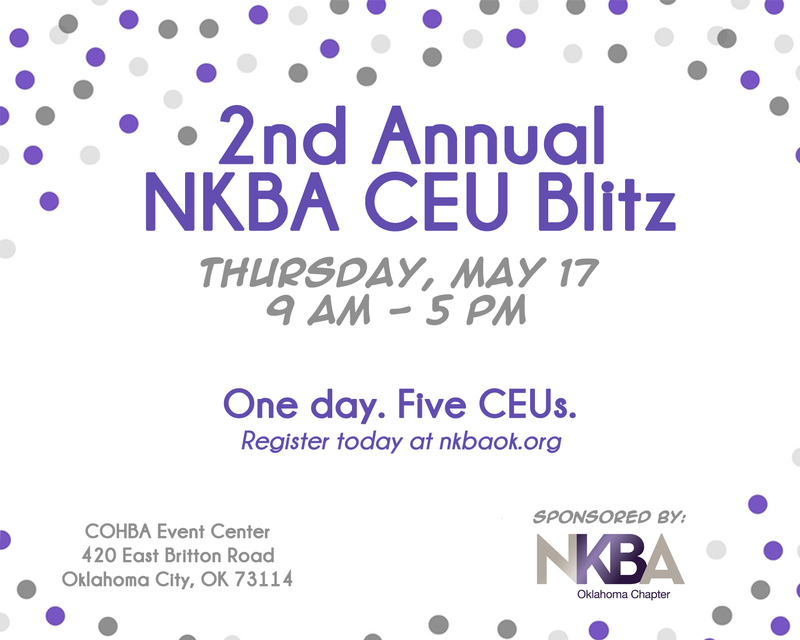 The NKBA requires our Chapter to offer our membership the opportunity to receive a specific number of CEU credits each year, and rather than spread those meetings out throughout the year, we will be offering them all in one day! Pre-registration is strongly suggested as we have a limited number of seats available! Registration is $50 thru the end of April and goes up to $75 on May 1. Registration includes breakfast and lunch, snacks and refreshments throughout the day, cocktail party, and the opportunity to gain valuable industry information through 5 CEU hours. Click here to register and/or sponsor the event. Our Chapter meets regularly throughout the year, typically on the third Thursday of the month. Our meeting schedule is ever-evolving, so please check back frequently for the latest meeting information. We also encourage you to follow us on Facebook to stay updated on our Chapter’s events.